Company tax rate cut – The tax rate for companies with an aggregated annual turnover of less than $2 million will be reduced by 1.5% (ie from 30% to 28.5%) from the 2015-16 income year. Increase to the instant asset write-off threshold to $20,000 – The threshold below which small businesses can claim an immediate deduction for the cost of assets will be temporarily increased from $1,000 to $20,000. This applies to assets purchased from Budget night (12 May 2015) until 30 June 2017. Small business simplified depreciation pool – Assets costing more than $20,000 will be able to be put in the small business simplified depreciation pool. If the pool balance falls below $20,000, it will be able to be written off immediately. The rules preventing small businesses from re-entering the simplified depreciation regime for five years after opting not to use it will also be temporarily suspended. This applies from Budget night onwards. Preparing for drought – Primary producers will be able to claim accelerated depreciation for water facilities, fodder storage and fencing from Budget night. Tax rate cut for other business entities – A 5% tax discount for individual taxpayers capped at $1,000 with business income from an unincorporated business with an aggregated annual turnover of less than $2 million will be introduced from the 2015-16 income year. The amount of the tax offset is 5% of the income tax payable on the portion of an individual’s income that is small business income, that is 5% of the person’s “total net small business income". An individual’s “total net small business income" is comprised of the “net small business income" they make as a small business entity, together with any share of the “net small business income" of a small business entity that is included in the individual’s assessable income. In general terms, the net small business income of a small business entity (including an individual) is the assessable income of the entity that relates to the entity carrying on a business, less any deductions to which the entity is entitled to the extent the deductions are attributable to the income. Where an individual has a share of the net small business income of another entity included in his or her assessable income, the individual also reduces the share by any deductions to which the individual is entitled, to the extent the deductions are attributable to the share of the entity’s net small business income. Electronic devices and FBT – The fringe benefits tax exemption for portable electronic devices used primarily for work purposes will be expanded from 1 April 2016. The exemption is extended to small businesses that provide employees with more than one work-related portable electronic device, even where the devices have substantially identical functions. Currently, a portable electronic device is not exempt from FBT if, earlier in the same FBT year, the employer has provided the employee, by way of an expense payment or property benefit, with an item that has substantially identical functions. For small businesses, this limitation will be removed with respect to portable electronic devices. Small business employers will be allowed an FBT exemption for multiple portable electronic devices provided to the same employee in the same FBT year, even if those devices have substantially identical functions. Professional expenses – new businesses will be able to claim an immediate deduction for professional expenses (eg for the cost of advice from lawyers, accountants and other professionals) associated with starting a business from the 2015-16 income year. This will include government fees and charges as well as costs associated with raising capital that are presently only deductible over five years. for the income year in which the deduction is claimed. payment to an Australian government agency of fees, taxes or charges relating to establishing the business or its operating structure. The amendments do not apply to expenditure incurred in relation to an ongoing business or a business that has ceased to operate (including expenditure relating to the liquidation or winding up of an entity). The amendments will apply to expenditure incurred in the 2015-2016 income year and later income years. The amendments will have retrospective application to a small group of taxpayers with substituted accounting periods for the 2015-2016 income year that commence before 1 July 2015. Do you have a small business? Are you thinking of setting up a new small business? If so, you should speak to your tax adviser to see if any of these new measures might apply to your business. supporting the ATO to work with industry to develop and approve safe harbour valuation methods and standardised documentation that will streamline the process of establishing and maintaining an ESS. These amendments have now become law. Despite these changes already being made, changes to further improve the taxation of employee share schemes may be coming shortly. 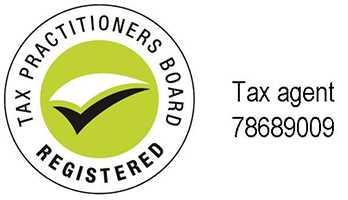 Keep an eye out for further information in future editions of TaxWise Business. The ATO is reviewing the returns of self-managed superannuation funds (SMSFs) which have received distributions from a discretionary trust. Distributions of income to SMSFs from discretionary trusts are considered to be non-arm’s length income, which is taxed at the highest marginal rate. Trustees of SMSFs (or their advisors) will receive an ATO letter asking them to contact the trustee of the distributing trust and review the trust deed and any resolutions to determine whether the amount reported in the annual return is non-arm’s length income. Returns may need to be amended as a result of this review. Seek the assistance of your tax agent/adviser if you receive one of these letters. The ATO says that it will have an increased focus on rental property deductions this Tax Time and is encouraging rental owners to double-check that their claims are correct before lodging their tax returns. While the ATO will be paying closer attention to these issues in 2015, it will also be actively educating rental property owners about what they can and cannot claim. For example, the ATO will be writing to rental property owners in popular holiday locations, reminding them to claim only the deductions they are entitled to, for the periods the property is rented out or is genuinely available for rent. Your tax adviser will be able to assist you with ensuring you make the correct claims against your rental property. Your tax adviser is well-equipped to assist you to make appropriate claims for deductions against rental income you may have earned. Seek their advice and assistance to ensure you claim the right amounts (and don’t miss out on anything you might not realise you are entitled to claim). In June this year, the ATO issued a draft taxation determination TD 2015/D2 entitled “Income tax: if a retiring partner receives an amount representing their individual interest in the net income of the partnership for an income year, is the amount assessable under section 92 of the Income Tax Assessment Act 1936?" The draft determination answers this question as ‘yes’. Subject to paragraph 3 of the draft determination, the amount is included in the partner’s assessable income for the income year under section 92 of the ITAA 1936.
the timing of the payment. However, according to the draft determination, an amount is not assessable under section 92 to the extent that it represents net income of the partnership which is attributable to both a period when the partner was not a resident of Australia, and sources outside of Australia. If you are part of a partnership, it would be useful to keep track of the progress of the ATO’s ruling on this issue, particularly if one of your partners, or you, is close to retiring from the partnership. In the previous edition of TaxWise Business, it was noted that the ATO had published a discussion paper on Single Touch Payroll. Since the last edition of TaxWise Business, the Government has announced that it will undertake further consultation with the business community on simplifying tax and superannuation reporting obligations through Single Touch Payroll. The Government acknowledges that a start date of July 2016 will not be achievable for many businesses. The Government has therefore asked the Treasury and the ATO to continue to consult with the business community and the software industry on the scope and timing for the Single Touch Payroll initiative and the feasibility of conducting targeted pilots from July 2016. The Government also recognises the cash-flow implications for business of real time payments, and will therefore only be consulting further on real time reporting and voluntary real time payments as an option. Under Single Touch Payroll, employers’ accounting software will automatically report payroll information to the ATO when employees are paid. This will eliminate the need for employers to report employee-related Pay As You Go Withholding (PAYGW) in their activity statements throughout the year and employee payment summaries at the end of the year. In addition, the Government will streamline Tax File Number declarations and Super Choice forms by providing digital services to simplify the process of bringing on new employees. Get in touch with your tax adviser to find out how these changes are progressing and when they are likely to impact on your business. In late June 2015, exposure draft legislation was released for consultation in relation to the 2015-2016 Federal Budget measure that will limit the FBT concessions on salary packaged entertainment benefits. The measure, which applies from 1 April 2016, will introduce a separate single grossed-up cap of $5,000 for salary packaged meal entertainment and entertainment facility leasing expenses (entertainment benefits) for employees of public benevolent institutions, health promotion charities and employees of public and not-for profit-hospitals and public ambulance services. Currently these employees can salary package entertainment benefits with no FBT payable by the employer and without the benefits being reported. All salary packaged entertainment benefits will also become reportable fringe benefits. If you salary package entertainment benefits for your employees, you should consult your tax adviser to see if this proposed law change affects your business in any way, including your obligations to your employees. On 1 July 2015 the ATO issued taxation determination TD 2015/14 “Income tax: what are the reasonable travel and overtime meal allowance expense amounts for the 2015-16 income year?" overseas travel allowance expenses – food and drink and incidentals that are covered by the allowance. Previous editions of TaxWise Business have noted that SuperStream was coming for small businesses. The ATO has issued a reminder that SuperStream has now started for small businesses. If business clients have 19 or fewer employees, it’s time for them to get ready. Small employers have up to 12 months to implement SuperStream. There are a number of steps that employer clients need to take to be SuperStream compliant. The ATO has prepared a step-by-step checklist to enable tax agents to help their small business clients get started now. Talk to your tax agent about getting SuperStream ready. The ATO is again warning the public to be aware of an aggressive phone scam circulating where fraudsters are intimidating people into paying a fake tax debt over the phone by threatening jail or arrest: ATO media release (6 July 2015). Second Commissioner Geoff Leeper has said that the ATO is very concerned about taxpayer privacy and is reminding people of the key differences between a scam of this nature and a genuine call from the ATO. 13 28 69," said Mr Leeper. If people think they may have fallen victim to a phone scam, they should contact the ATO on 13 28 69. For more information and examples of recent scams visit the ATO website or SCAMwatch. In July, exposure draft legislation was released to implement the 2013-2014 Budget measure Tax compliance – improving compliance through third party reporting and data matching. business transactions made through electronic payment systems such as credit and debit cards and online payment methods. In addition, the States and Territories will continue to report on a quarterly basis to the ATO regarding transfers of real property as they do now. Business transactions made through payment systems – Draft record structure and Discussion guide. Following the announcement in the 2015-16 Federal Budget, exposure draft legislation was released in July this year to “modernise and simplify” the calculation of work-related car expenses. The four available methods will be reduced to two. The “cents per kilometre” and “logbook” methods will be retained and the “12 per cent of original value” and the “one-third of actual expenses” methods will be removed. The “cents per kilometre” method will be amended so that the three current rates based on engine size will be replaced with one rate set at 66 cents per kilometre, which applies to all motor vehicles. Revisions to the rate will be made by the Commissioner in future income years. Though not law yet, this change applies from 1 July 2015. On 17 June 2015 the ATO made a legislative instrument which varies the amount of withholding required by a payer under the PAYG withholding system for allowance payments in certain circumstances: Taxation Administration Act 1953 – Pay as you go withholding – PAYG Withholding Variation: Allowances (legislative instrument F2015L01047; registered 30 June 2015). The legislative instrument revokes and replaces the previous instrument, Taxation Administration Act 1953 – PAYG Withholding Variation: Allowances (legislative instrument F2013L00521; registered 21 March 2013). That instrument provided a variation to the rate of withholding from a number of allowances when certain conditions are met. Broadly, the variation applies in certain cases when the allowance is expected to be fully expended on tax deductible items and the payee would not be required to substantiate expenditure incurred in relation to the allowance. The new instrument differs from the previous instrument in only one respect. The variation for cents per kilometre car expense payments has been adjusted because of the proposed change to the calculation rules noted above. the rate published by the Commissioner for later years. Where the allowance for car expenses is no more than the published rate, then no withholding will be required for payments up to 5,000 kilometres for a financial year. Withholding will be required from payments for distances travelled beyond 5,000 kilometres in a financial year. If the per kilometre rate paid exceeds the published rate withholding will be required from the amount of each payment which exceeds the amount calculated at the published rate. Do you have employees that claim business-related car expense deductions? If so, they should be made aware of this change. For employers, you need to be aware of the changes to the PAYG withholding requirements. Seek advice from your tax adviser about how best to manage these changes that apply for the 2015-16 financial year onwards. At the Australian Leaders’ Retreat held in Sydney on 22 July 2015, the Prime Minister, First Ministers from each State and Territory, and the President of the Australian Local Government Association agreed to keep Commonwealth and State tax changes on the table including the GST and the Medicare levy: Australian Leaders’ Retreat Communiqué (23 July 2015). As a first step, there was agreement in principle to broaden the GST to cover overseas online transactions under $1,000. This matter will be referred to the meeting of Treasurers that was to be held on 21 August 2015 to progress in detail. At the time of writing, no further details on proposed changes to the $1,000 were available and the Treasurers’ meeting had not yet occurred. Should the proposed changes be proceeded with, later issues of TaxWise Business will contain any necessary updates. The Government launched a new service in July 2015 to help people in drought-affected communities to manage their tax affairs. The ATO and Department of Agriculture will work together to identify drought-affected taxpayers. Personalised assistance and customised support plans for business owners and communities in these areas will be provided. There is a dedicated hotline for drought affected taxpayers on 13 11 42 (Select Option 3) so that taxpayers who need support can discuss their situation and available options to help them manage their tax obligations. The ATO has also undertaken to get in contact with businesses in drought-affected communities to make sure they are aware of the options available to help them meet their obligations. Of course, your tax agent is always there to help assist you to manage your tax obligations, particularly if you have been affected by drought or a natural disaster.